Over 70% (73%) of British 16-to-21 year-olds consider moving abroad, with the weather, quality of life, and the current government being the leading factors, we’ve found. With an ever increasing focus on young people and life in the UK in the media we decided to ask young people whether they saw their futures in the UK. Our survey – carried out in the wake of last month’s budget announcement – found that over 50% (55%) of these unhappy young people wished for a better quality of life. The research has shown that more than 20% are not happy with the UK economy and over 30% said they were unhappy with the current government. One in three of those that wished to leave agreed that life in the UK was too expensive and that they would like to live somewhere cheaper, whilst 1 in 5 would like their family to have a better future than what currently seems available in the UK. Employment and job opportunities were other common reasons to look at a life abroad, as was the rising costs of attending university. East Anglia, The North West, The West Midlands and Northern Ireland saw the largest rates of unhappiness, with over 80% of youngsters from each considering an escape. 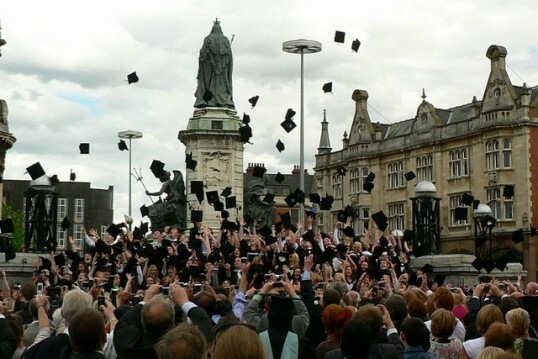 In contrast, 80% of young people in the East Midlands saw their long term futures there. When asked where they would like to move, The United States was by far the most popular location with over 60% of the votes, followed by Australia, and Canada, showing British Youth prefer English speaking countries. The full results of the survey can be seen below. 72.8% of young Brits have considered moving away from the UK, although 68% of young Brits still see their long-term future in the UK, 18.8% weren’t sure and 13.2% definitely don’t. The survey also asked young Brits where they would like to live outside of the UK, the results of which can be seen in the graph below. 69.2% of young males saw their futures in the UK (12.7% no, 17.7% not sure), compared to 67.3% of young women (13.5% no, 19.3% not sure). 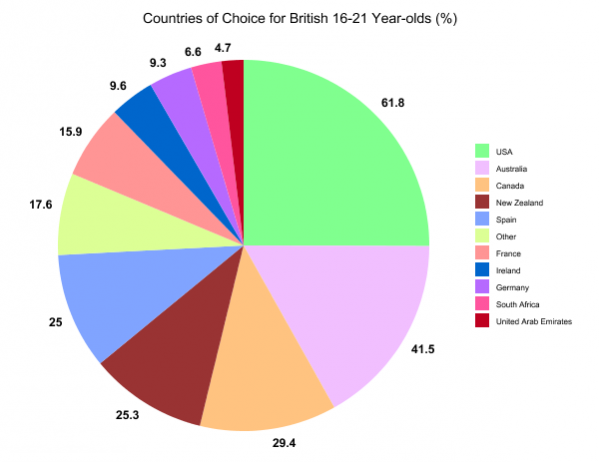 76.3% of young women have considered moving away from the UK, compared to 65.2% of young men. Women are also more likely to move to gain independence than men (27.2% versus 18.5%). Men are more likely to move because of the government (37.9% vs 29.9%) and the economy (22.3% vs 18.4%) than women. The regions where most young people saw their long-term future in the UK were: the East Midlands (80.0%), Wales (79.3%), the South West (76.7%), Yorkshire and the Humber (76.7%) and the South East (76.6%). The regions where fewest young people saw their long-term future in the UK were: the West Midlands (55.7%), the North West (56.6%), Scotland (58.3%) and East Anglia (62.5%). The regions where most young people have considered moving abroad are: East Anglia (83.3%), Northern Ireland (83.3%), North West (81.1%) and the West Midlands (80.3%). The regions where fewest young people have considered moving abroad are: the East Midlands (60.0%), the South East (63.8%), Yorkshire and the Humber (67.1%) and the North East (68.0%). Only 62.5% of young people in East Anglia see their long-term future in the UK, among the lowest in the country. 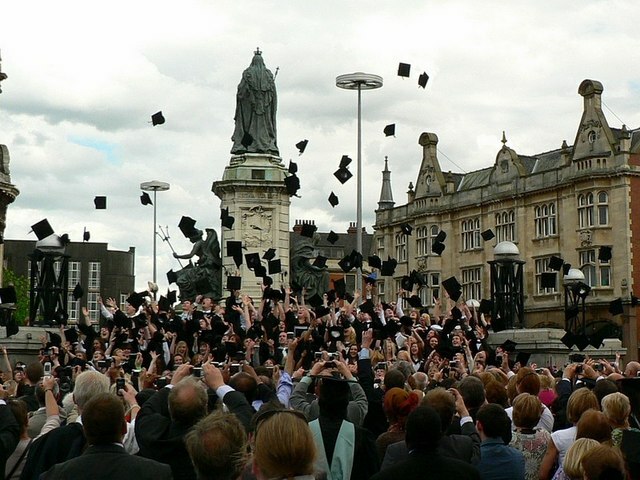 83.3% of young people in East Anglia have considered moving abroad, the joint-highest in the UK. Their main reasons for wanting to move are to experience different cultures (70.0%), better quality of life (55.0%) and to go somewhere warmer (45.0%). 80.0% of young people in the East Midlands see their long-term future in the UK, more than anywhere else in the country. Only 60.0% of young people in the East Midlands have considered moving abroad, the lowest in the UK. 66.3% of young people in London see their long-term future in the UK. However, 74.7% of young people in London have considered moving abroad, above the national average and the fifth highest area in the UK. Their main reasons for wanting to move are to go somewhere warmer (56.5%), to experience different cultures (53.2%) and a better quality of life (46.8%). 68.0% of young people in the North East see their long-term future in the UK, but the same percentage has also considered moving abroad. Their main reasons for wanting to move are a better quality of life (58.8%), a warmer location (52.9%) and a drier location/unhappy with the government (both 35.3%). Only 56.6% of young people in the North West see their future in the UK, the second lowest in the country. 26.4% of young people in the North West definitely did not see their future in the UK, by far the highest in the UK and double the national average. 81.1% of young people in the North West have considered moving abroad, among the highest in the UK. Their main reasons for wanting to move are to go somewhere warmer (72.1%), a better quality of life (62.8%) and to experience different cultures (58.1%). 66.7% of young people in Northern Ireland see their long-term future in the UK. However, 83.3% have considered moving abroad, which is the joint-highest in the country. Their main reasons were to go somewhere warmer (80.0%), a better quality of life (80.0%) and unhappiness with the government (60.0%). Only 58.3% of young people in Scotland see their long-term future in the UK, among the lowest in the UK. 69.4% have considered moving away from the UK. Their main reasons for this were to go somewhere warmer (56.0%), to experience different cultures (56.0%) and better quality of life (52.0%). 76.6% of young people in the South East see their long-term future in the UK, among the highest in the country. Only 63.8% of young people in the South East have considered moving abroad, the second lowest in the UK. Their main reasons for wanting to move abroad were to go somewhere warmer (73.3%), to experience different cultures (53.3%) and a better quality of life (53.3%). 76.7% of young people in the South West see their long-term future in the UK, among the highest in the country. 72.1% of young people in the South West have considered moving abroad. Their main reasons for this were to go somewhere warmer (71.0%), to experience different cultures (67.7%) and a better quality of life (54.8%). 79.3% of young people in Wales see their long-term future in the UK, the second highest in the UK. However, 72.4% have considered moving away from the UK. Their main reasons for wanting to move are to experience different cultures (71.4%), to go somewhere warmer (57.1%) and a better quality of life (47.6%). Only 55.7% of young people in the West Midlands see their long-term future in the UK, which is the lowest in the country. 80.3% have considered moving abroad, which is amongst the highest in the UK. Their reasons for wanting to move are to experience different cultures (69.4%), a better quality of life (69.4%) and to go somewhere warmer (59.2%). 76.7% of young people in Yorkshire and the Humber see their long-term future in the UK, among the highest in the country. Just 67.1% of young people in Yorkshire and the Humber have considered moving abroad, among the lowest in the country. Their reasons for this are to go somewhere warmer (69.4%), to experience different cultures (59.2%) and better quality of life (57.1%).